If you’re ever invited to a VIP Tasting event, just say yes. Especially if it’s part of a major rebranding effort, and double-especially (I used it, so now it’s a real word.) if it involves pizza. Actually, the only pizza included in this one was the new Sunny Side Up Bacon + Potato pizza. You’re correct: two eggs on top. Now that’s what I call planning ahead if you want cold pizza for breakfast! It’s mid-afternoon at the California Pizza Kitchen in Tampa, and the staff feels energized. This tasting is a show within a show, surrounded by actual paying customers. One reason they’re pumped up: they’re pioneers. For now, this “Taste the Next Chapter” rebranding movement only includes about a dozen of the more than 250 CPK locations. So, the general manager and the servers—all top notch and double-extremely well prepared for this matinée show—are already insiders, the advance team, the elite culinary forces sent to the front of the front to ensure all-out success for all the rest of the locations that will follow. Ideally, the staff at all the other locations will catch this excitement, when it’s their time, because that’s actually one of the most powerful benefits of a major rebrand of this nature: the enthusiasm and pride of the new translates into a more engaging, positive, and memorable experience for the customers. And so the business grows. Keep in mind that this large-scale rebranding effort is going on without a single tweak to the company’s logo. This is a personality change, not a logo facelift. It’s all about expectations. The experience. 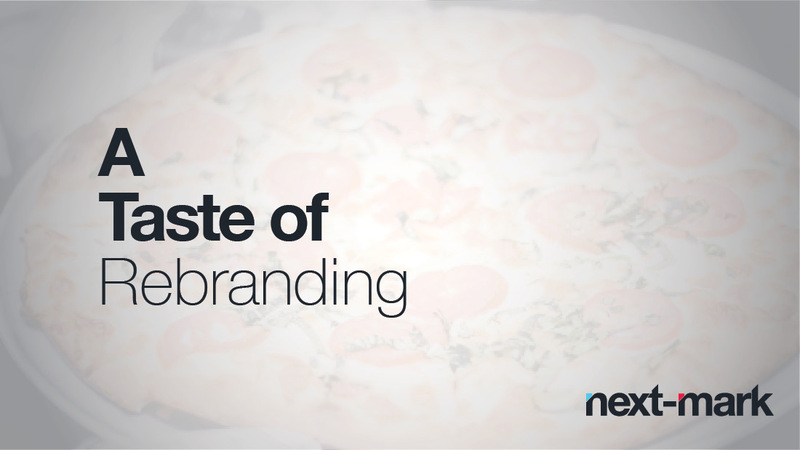 The CPK rebranding project goes way beyond the menu, too. The restaurants are all going sustainable, with as many elements as possible being repurposed from elsewhere. In Tampa, they’ve created one wall entirely from a patchwork of wine crate sides. It has “Let me take a selfie” written all over it. Not literally. I’m just saying. I’m pretty sure the old CPKs don’t have real bars where you can hang out; this one definitely does. You can twist around at the bar to watch the action in the kitchen—pizza tossing included—if the game on the flatscreen is not going your way. Back to the new menu: The non-pizza entrées are getting the spotlight, along with the drinks. You know you’re going upscale when the menu includes suggestions for wine pairings. The Fire-Grilled Ribeye topped with creamy bleu cheese butter likes to hang out with Rodney Strong, a Cabernet Sauvignon. If you like drinking Clos Du Bois Unoaked Chardonnay, then you might want to pair that with the Hearth-Roasted Halibut. Or vice versa. (Full disclosure: I didn’t actually see a hearth.) Being more of a beer guy myself, I love that the suggested pairing for the Mahi Mahi Tacos is Corona Extra. I didn’t make that up. Go see for yourself. The staff continues the barrage of new dishes and sides, actions that are not lost on a table of “regular” patrons nearby. Perhaps the staff has shifted a bit too much service to our side of the house and neglected others by mistake. If anyone from CPK is reading this, you might want to bring around some samples to everyone and tip them off as to what’s going on. Anyway, as we’re doing our best to put a dent in the desserts—this is, after all, about the tenth course of all the new items—the regional marketing guy asks us if anyone feels adventurous enough to go back to the kitchen and throw some pizza dough. And that’s when I remembered: This is a pizza place. At Next-Mark, Eric focuses on developing creative strategies for clients including brand development, messaging and communications and messaging strategies. He is known for addressing complex marketing challenges with a mix of analysis, creativity and business sense.